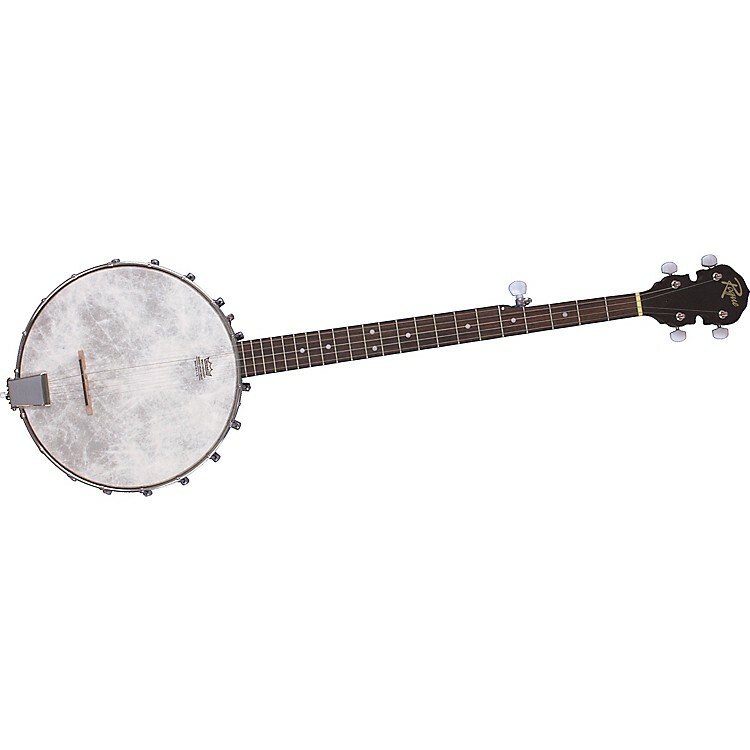 Great sound and fine feel for banjoists on a budget! 18 brackets; high-quality, vintage-style head; open back; satin finish; and first-rate string tuning machines make this a hot little instrument for fancy pickin' on the go or in the office. It's lightweight and super sturdy, perfect if you're just starting out and don't want to spend a lot. Order today and you'll soon find yourself pickin' and a grinnin'!